We take care of the buying and procurement process for the clothing you require – from raw material to finished product – and offer a sustainable fashion alternative for you and your team delivered all the way to your door. 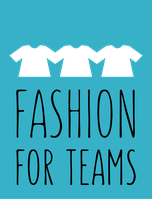 We are the team at Fashion For Teams – a service of ATAKORA Fördergesellschaft GmbH. We have been supporting sustainable cotton farming in Africa for 10 years under the auspices of the Cotton made in Africa initiative. Our remit is to raise the profile of sustainable cotton, increasing its recognition and openings in international trade. To this end we are building up an alliance of textile companies which make an explicit commitment to sourcing and using CmiA cotton for their products and selling them with the Cotton made in Africa label. With over 20 years of experience, we have gained expertise in the worldwide procurement of textiles, in the use of sustainable cotton and in the production of sustainable clothing. We would now like to offer this knowledge to clubs, associations, governmental and non-governmental organizations, companies, bands and other organizations in order to give them the opportunity to order sustainable products – in a simple and straightforward process including delivery to the specified address. The fact that we know what we are talking about is seen in the endorsement of famous names who are already our business partners – such as OTTO, PUMA, REWE, Tchibo, s.Oliver, Tom Tailor, Ernsting's family and many more. By the end of 2014, 100 million textile products with the CmiA seal of approval had been brought to market.